Windows Phone, previously maligned for its poor sales and lacking feature set, appears now to be enjoying new momentum. HTC, a giant in the mobile space, has made it known that Windows Phone devices now comprise some 30% of its total unit volume. That number is certainly higher than what we here at TNW Microsoft had anticipated. HTC’s massive Android presence implies that it is shipping goodly amounts of WP7 hardware. In a report on Forbes, HTC was quoted as saying “We believe that Windows Phone 7 will eventually be better than other platforms and will give Android a run for its money.” For an operating system now roughly just one year old, such statements are rather bold. This is especially true as the Windows Phone platform has yet to show any sign of explosive growth. That might be changing. With the recent release, and supportive critical response, of the Mango update to the Windows Phone platform, things appear to be looking up for the Microsoft project. 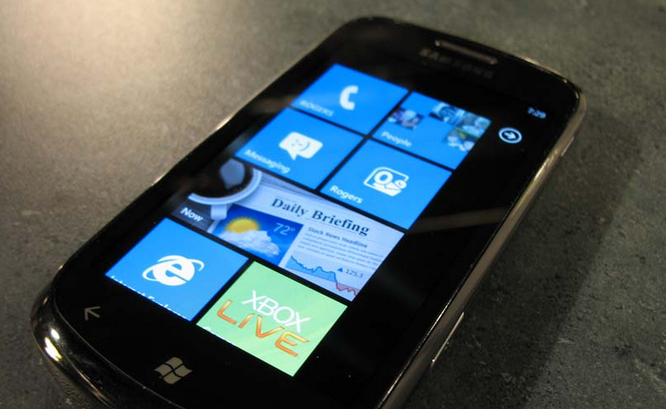 A second giant, Samsung, is working to put more of its assets into Windows Phone. The company also recently signed a deal with Microsoft that settles the two firm’s patent disputes. Samsung therefore appears set to continue to support Windows Phone for the foreseeable future. HTC predicts that the number of Windows Phone devices will rise in the coming months and years. Provided that Microsoft manages to get a good-looking crop of hardware into the marketplace before the holiday cycle begins, it could enjoy a better quarter than the phone line has ever had. On a different note, Microsoft is tacking away from its old advertising structure, and will work more with partners on forthcoming ad spots. Whether or not that yields success is an open question. For now, the Windows Phone team can breathe easy for a moment, as their efforts appear to be paying off.